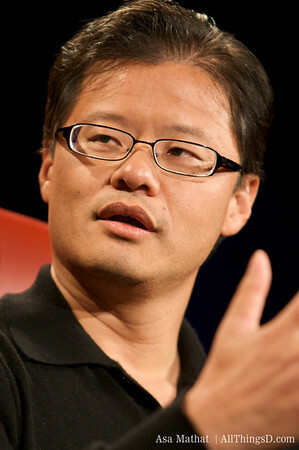 Jerry Yang is one of the best-known of the Web’s early Internet entrepreneurs. A Taiwan native, Mr. Yang was raised in the Silicon Valley area. He created Yahoo (YHOO) with David Filo in 1994 as a graduate student at Stanford University. Since then, it has become one of the most important brands on the Internet and one of the most highly trafficked sites on the Web. But the company has also fallen on tougher times of late, with challenges from more powerful companies like Google (GOOG) and a spate of Web 2.0 innovations. 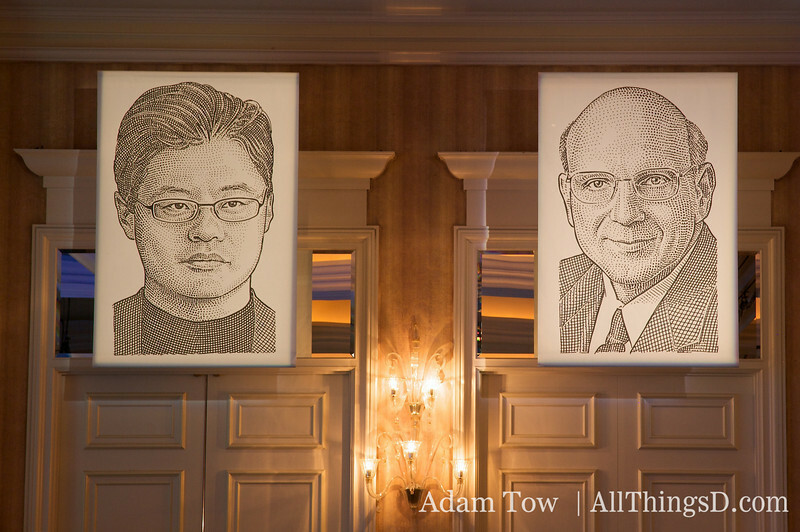 After former CEO Terry Semel stepped down, Mr. Yang was appointed CEO in mid-2007. While he has struggled to make changes at Yahoo quickly, his tenure was threatened in February with an unsolicited takeover bid by Microsoft. Sue Decker has also been in the hot seat over the last year, as the No. 2 exec at Yahoo, playing a critical role in its business strategy and vision, as the company has sought to reinvigorate itself. She is responsible for all of the global business operations of Yahoo, including sales, product marketing, product and distribution across the three major customer groups of audience, advertisers and publishers. Walt arrives on the D stage to introduce Yahoo CEO Jerry Yang and President Sue Decker. The conversation is prefaced by a short video. Wow, Yang’s trademark deadpan is an extraordinarily effective comedic device …. I see the bits with Bill and Steve didn’t make it into the video, quips Yang. It’s been an interesting few months, eh? says Walt. Then, cutting right to the chase: where do you stand with regards to Microsoft? Yang stresses again that it was Microsoft that walked away from the table. What’s going on with Google? Walt queries. Why would you want to outsource your search business? Yang says the company feels very strongly about the way it monetizes search. That said, Yahoo feels there are sources of untapped value — IE: GOOGLE — that could provide new revenues. Walt circles back to the Google issue: The facts are that you and Microsoft as well are both losing market share to Google. So while you may have a principal position in search, it’s slipping. Yang says Yahoo is closing the Google gap with Panama, its search-ad business. The company is experiencing good query growth, he adds. And Yahoo is planning some aggressive/disruptive moves in the query game. What those moves are remains to be seen. “We’re just starting to innovate,” concludes Yang. Yang recalls walking into a recent board meeting–not Yahoo’s–and feeling like “I was walking into my own wake. Everyone was like, ‘My God, Jerry, are you all right? '” Yang understands that view, but says the Microsoft/Icahn debacle is a great exercise in crisis management. Yang says Yahoo’s version of this open API strategy is much richer than those offered by other companies. Decker notes that the economics of the social graph accrue at the starting points of the Web. By embracing this open strategy, she says Yahoo can create relevance and social connectivity and, presumably, revenue. We’re rewiring Yahoo, she adds. Kara: You didn’t think you could escape me did you, Jerry Yang? I have two questions for you. The first: When will you have lunch with me? Yang says he’ll have lunch with Kara if she donates $500 to Donors Choose. Kara: done. On to the Q&A: As Web 2.0 takes hold and people become more social online, how do you see your display advertising strategy changing? Decker: Fundamentally, we see advertising becoming more relevant because we have a better understanding of the user. Q: Noting Yahoo’s “deplorable customer service for premium products” a write-in questioner asks how serious the company is about premium services. Yang says the company is serious about premium services, but notes that the company sometimes needs to phase out or de-emphasize a product and that that can be frustrating for those who use it. Walt jumps back in, noting that the questioner claims to have canceled all his Yahoo Premium services. What does that say about Yahoo’s customer service? Decker acknowledges that the company has had customer-service problems, but says it takes that facet of its business seriously and plans to nourish it. Q: What is the value of Yahoo beyond search? Yang says that’s tough to quantify because Yahoo is a company in the process of reinventing its business. That said, he personally thinks the value is huge. The potential for Yahoo’s display business is enormous, says Yang. Decker seconds that assertion, noting that Yahoo is reducing the friction and adding the targetability of search to display advertising at a time when the display ad market is becoming increasingly fragmented. Interview ends. Yang and Decker’s performance tonight offers what may be the single best explanation to date of why Yahoo is in the dire straits it’s in these days. For more coverage, see The Wall Street Journal. A note about our coverage: This live blog is not an official transcript of the conversation that occurred onstage. Rather, it is a compilation of quotes, paraphrased statements and ad-lib observations expeditiously written and posted to the Web as quickly as we were able. It was not intended as a transcript and should not be interpreted as one.